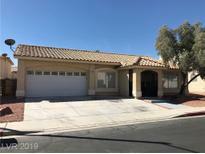 Below you can view all the homes for sale in the Allegro subdivision located in Henderson Nevada. 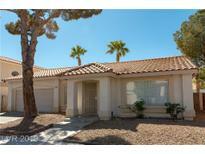 Listings in Allegro are updated daily from data we receive from the Las Vegas multiple listing service. To learn more about any of these homes or to receive custom notifications when a new property is listed for sale in Allegro, give us a call at 702-323-5903. Call today for your private viewing MLS#2085322. Coldwell Banker Premier. Gorgeous Green Valley 1 Story W/Gated Covered Patio Entry 3bd 2ba 2car Gar*beautifully Upgraded New Woodlook Floors New Baseboards Modern Custom Lighted Ceiling Fans*livingrm W/Vaulted Ceiling*open Sep Dining Area*fabulous Kitchen Granite Counter Glass Tile Backsplash Stainless Appls Customized Cabs*spacious Secondary Bdrms*nice Master*both Baths Customized Cabs Granite Newly Tiled Shower/Tub Surrounds*low Maintenance Rockscape Landscape & Patio MLS#2085316. Elite Realty. Easy Access To Schools Shopping And Freeway. MLS#2084187. BHHS Nevada Properties. Large 3 Car Garage - Over Sized Pool Size Lot With Lots Of Potential. MLS#2058153. iProperties International.